Drill, countersink, and counterbore in one operation. 5 Pc. 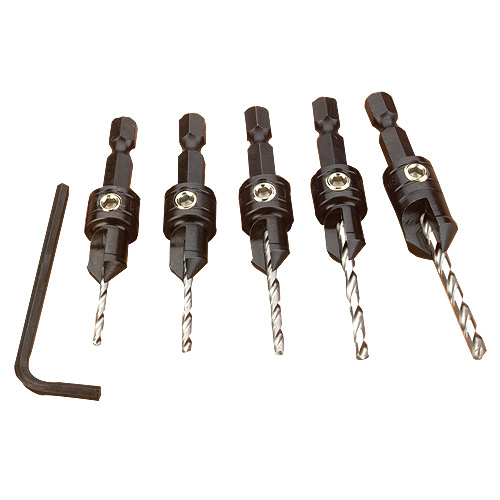 Set handles #4, 6, 8, 10, & 12, size screws, and uses the following standard bit sizes 5/64", 3/32", 7/64", 1/8", and 9/64". Hex key for setting drill bit depth or bit replacement included.